By my count above there were 20 NEW databases ADDED this past week, per the list above. 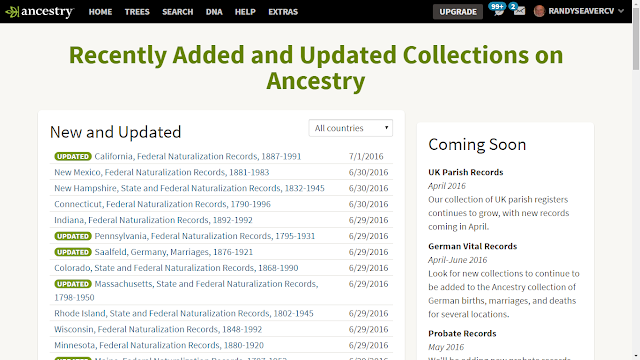 There are now 32,650 databases available as of 3 July, up 10 from last week. 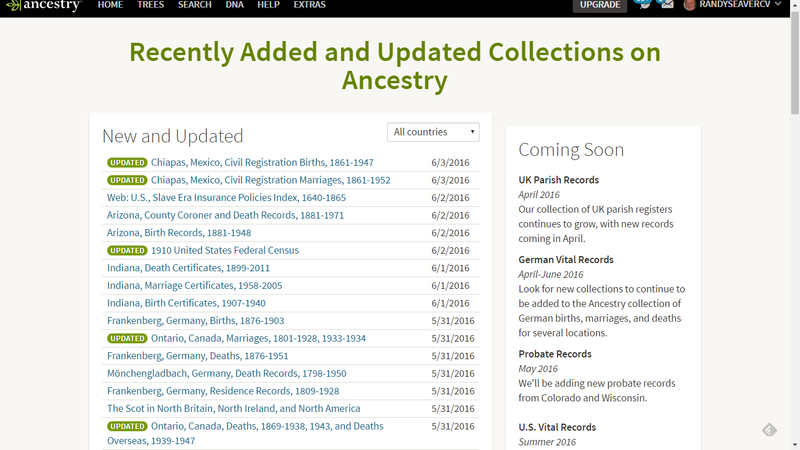 Apparently, 10 databases were deleted from Ancestry. I wonder which ones they were? I was excited to see these additions, but the researcher should beware--labeling is very inexact to say the least. Browsing in Nebraska Naturalizations, "date unstated," I found first a volume of Nebraska Naturalization Military Petitions for 1918, followed by a volume of MISSOURI Naturalization Intentions 1855-1888--did not go through all 900+ images, but there could be another random volume of something. Looking at the Iowa collection, I found there was no browsing option, unfortunately. 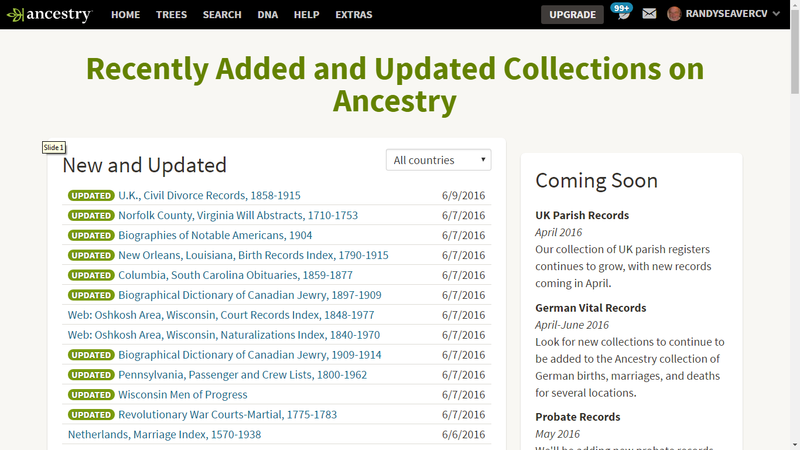 But although the collection is titled "Iowa, Federal Naturalization Records, 1856-1937," the earliest source they list for the collection is Petitions for Naturalization, 1891 - 1947. 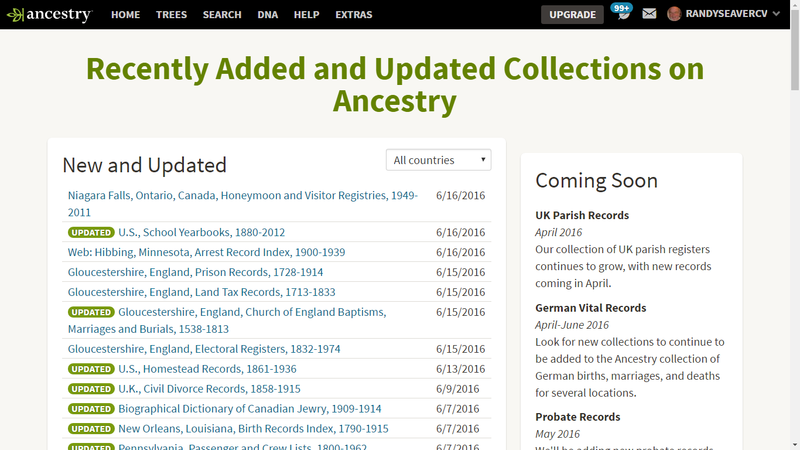 Everything else is 20th century, so don't expect to find your 1875 ancestor here. In short, you might want to look carefully to see what is actually included in these collections if you are frustrated in your searching efforts.